It is no surprise that slot machines are highly valuable to casinos, with establishments able to fit in more consoles per square foot of floor space than any other form of their popular games. It has been suggested that a modern casino can earn around three quarters of its revenue from slots and there are more present now than ever before. These spread across more than 50 countries on six of the world’s continents. Such is the carnival of sounds and lights, alongside the general range of slot options, it can be exceedingly tough for a casino’s customer to decide where to place their coins. One helpful factor is that the machines break down into two distinct varieties. The first are the classic three-reeled machines based on simplicity and ideal for beginners to learn the fundamentals of slot play. More modern and recognisable are five-reeled slots, but there are considerable differences between the pair far beyond the number of reels a player can see. The last point above ties in with the fact that franchises and brands are such a big focus of five-reeled slots and the total package they can offer. Take a slot dedicated to the television horror drama series The Walking Dead. One reel will be still images of some of the cast, others will show video clips from scenes of the programme, some have zombies effectively falling out of the screen and all of this while the soundtrack of the show plays in the background to bring it to life further. The idea is that the slot taps into the atmosphere of the show and attracts its fans. Such an emotional attachment is a big pull for customers who have fond memories of the series. At its core, a franchised five-reel slot is barely any different to the basic three-reeled machine in terms of a random generator working the cogs in the background, but the music, mini games and look provide an extra layer to a player’s entertainment. Ask most people to spend a minute mocking up a quick drawing of a slot machine and many will opt for three reels, either displaying three bunches of cherries, numbers 7s, lemons or BAR symbols. This is a standard three-reel slot. The design is very uncomplicated, with plain backgrounds and straightforward symbols positioned in the reels. The five-reeled varieties have much more depth to them. This ranges from the size and sleekness of the consoles on which they are housed to the actual games, which could include 3D images or pictures of famous faces. It is not just the sounds and visuals of the majority of five-reel slots that boost their interactivity. Many also feature quirky elements to add to their appeal. For example, many have touchscreen capabilities on their displays, sometimes away from the reels, to add another dynamic dimension. In terms of gameplay, the classic three-reel slots are far more slow-paced and sedate, whereas the five-reel options progress much quicker. What this faster gameplay could result in is slot players simply losing their money at a quicker rate. 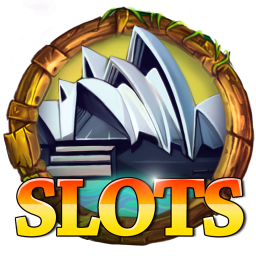 However, these slots are also set up to pay out on a more frequent basis. Approximately 45% of all spins is considered a characteristic rule. This is significantly more often that with traditional slots. But, although payouts may be relatively common, hitting a jackpot is rarer. For starters, players are typically required to insert multiple coins on a single bet across numerous lines and multiply a jackpot on more than one occasion to achieve the biggest payout. The other issue with the five-reel slots is the difficulty in determining whether a spin has actually been a winner, simply due to their multi-line format. A player may have as many as 100 different winning combinations on a spin due to the diagonal and zig-zag sequences which run alongside the traditional horizontal line-up. It isn’t just in the chase of the maximum jackpot where players can profit from multipliers to boost winnings and specific payouts. The triggering of bonus rounds and the opportunity to obtain free spins can bring financial rewards or unlock other mini games. The capacity to include a skill round into a slot game that is largely considered to require a large portion of luck is another factor which heightens the popularity of five-reeled slots.